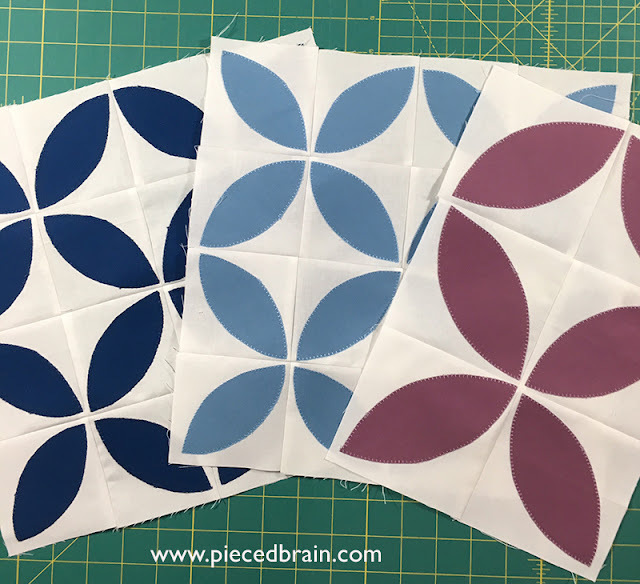 Welcome back to the Bella Solids Skill Builder Sew Along, hosted by Fat Quarter Shop and using Moda Fabrics Bella Solids! This month we are practicing the Orange Peel blocks. One block has 16 dark peels, another is a lighter version of same block, and the other block has only 6 peels. Easy! 1. 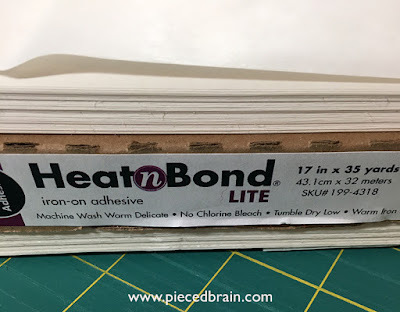 Start with HeatnBond Light fusible web from Therm-o-web. I buy it by the bolt because I don't want to run out. It works great with wool, too. 2. 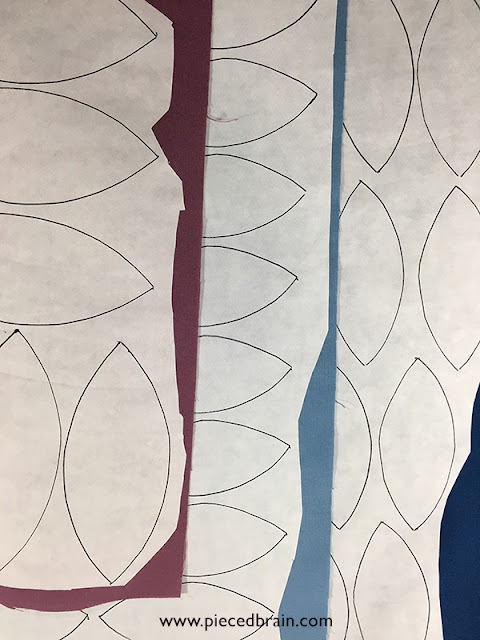 Trace template onto smooth side of fusible web. Rough cut it and fuse it to the wrong side of the fabrics according to manufacturer's instructions. 3. 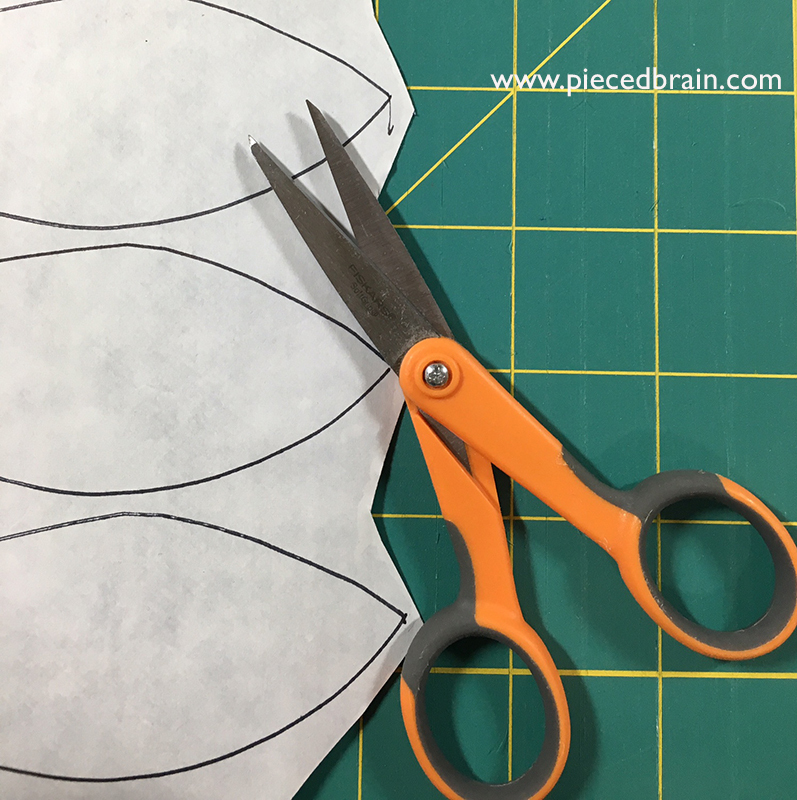 Using sharp scissors, cut on the shape outline. These are my favorite by Fiskars - I cannot live without them! I've had them for years and they are still sharp. 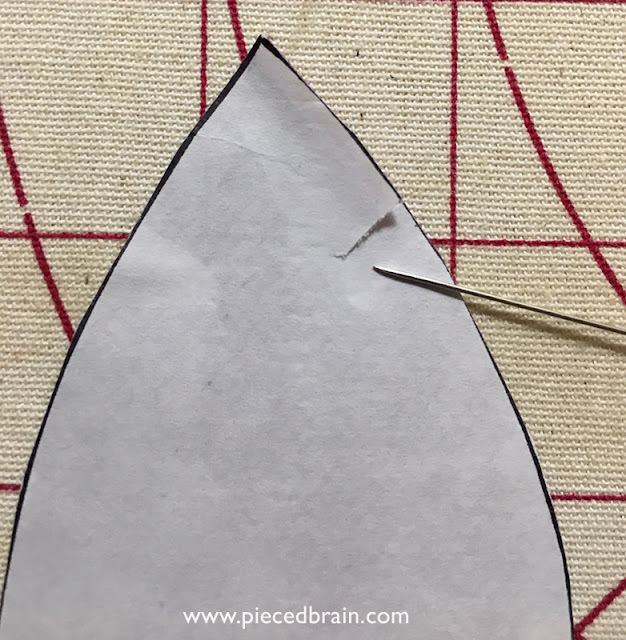 Their points are perfect for small cuts so I keep them by my ironing board when I am pressing seams in case I need to trim or cut a V on them so they will still flat. 4. Use a pin to score the paper close to one edge, without poking through the fabric. 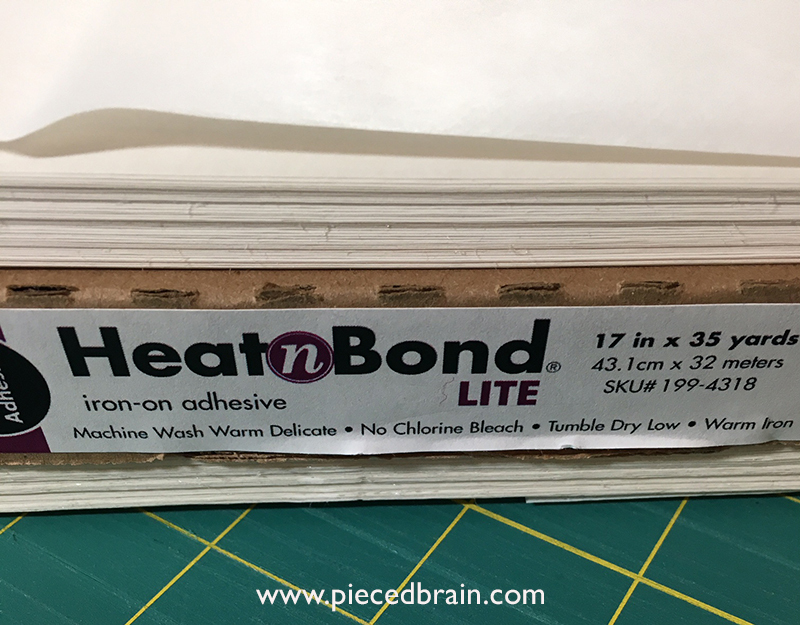 Now, I easily peel the backing of the fusible web. 5. 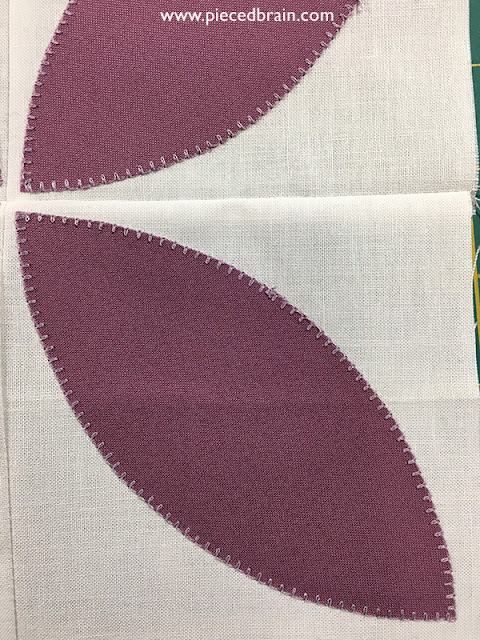 Press shape onto background fabric and machine applique' with matching thread. I almost always use blanket stitch because I like the texture it adds to my applique' work. I love this process because it is so relaxing. The blocks are looking great! To downloaded this month's pattern go to the Jolly Jabber. Then, check out the blocks of the other participating bloggers. There is still time to join the Sew Along as we will make blocks together until November.